Originally posted May 30 2007 at 23:05 under General and Friends. 0 Comments. Trackbacks Disabled. Nottingham, land of Robin Hood, the Sheriff, a castle long gone and, well, Dr Perkins. I visited for a bank holiday weekend. 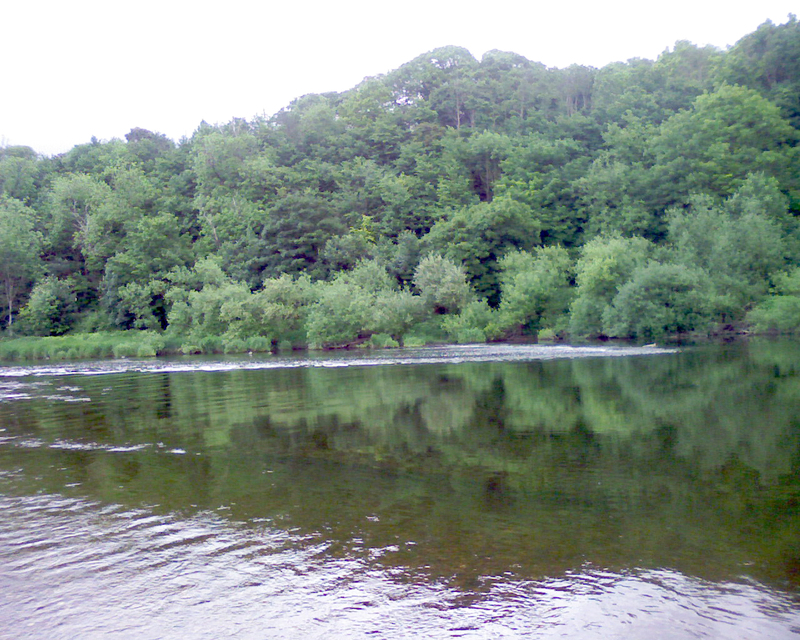 There was beer, and a river, and beer, and movies, and beer, and games, and beer and stunning images. scenery). Still, we wouldn’t have wanted to walk any further! More photos can be found in the albums (all taken with my camera phone because I’m too incompetent to have a camera with me). There was also a TV, not that we actually watched broadcast programs (actually, that’s not quite true. This weeks Dr Who was really rather good). There were movies, Sin City (which I hadn’t seen—enjoyably good, with me laughing at bits that normal people probably shouldn’t laugh at) and Shawshank Redemption (which Ed hadn’t seen—still brilliant). Then there was the bit of Planet Earth on DVD I saw. Now there is some stunning photography. The sort of thing the BBC should be made to do for their money, rather than chasing ratings with stuff anyone else could do. What else…slightly further with Gradius V, which we can’t do. More beer. A final pint or two in the pub on the way to the station (why can I never find the cash points at Nottingham station? 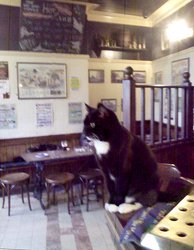 ), in a pub obviously owned by a cat. Trains home were surprisingly smooth, even the cold at Doncaster was refreshing. And enjoyable bank holiday then.